Surfaces and Textures are an interesting theme for photography. There are so many kinds of surface structures, details, shapes, and textures as the subject of the image. The photographer's task is to showcase the surface and texture itself. There are so many places to find these - everywhere - in the grain patterns of wood, the surface of stones, crystals of snow and ice, water, fabric, metal, leaves, sand, woven objects, clouds. Included are urban decay surfaces such as rust and decay where scratches and dents create surface structure, texture, detail, and colour. 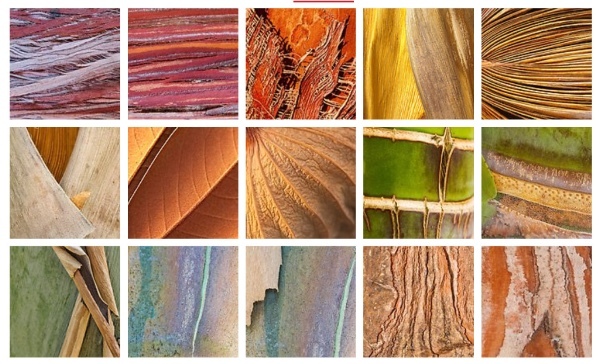 Textures can occur at all level – including aerial photography and landscape views. 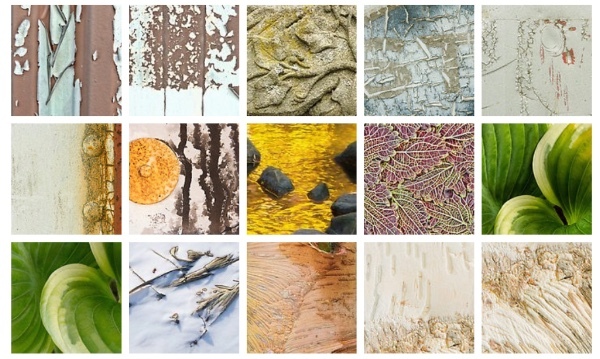 The types of surfaces and textures include: rough, ragged, gritty, bumpy, spiky, sharp, fuzzy, slimy, slick, slippery, smooth, soft, silky, scaly, coarse, burl, knot, slub, abrasive, scratchy, shaggy, bristly, prickly, spiny, thorny, burnished, glossy, polished, powdery, and fine grain. 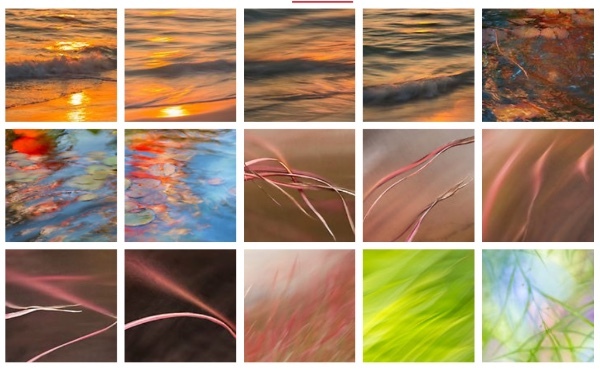 So I went to two of my own portfolios to see what was there - Surfacing Attention and Nature's Impressions - and clipped the thumbnail image displays. We see the array of surfaces and textures all around us.